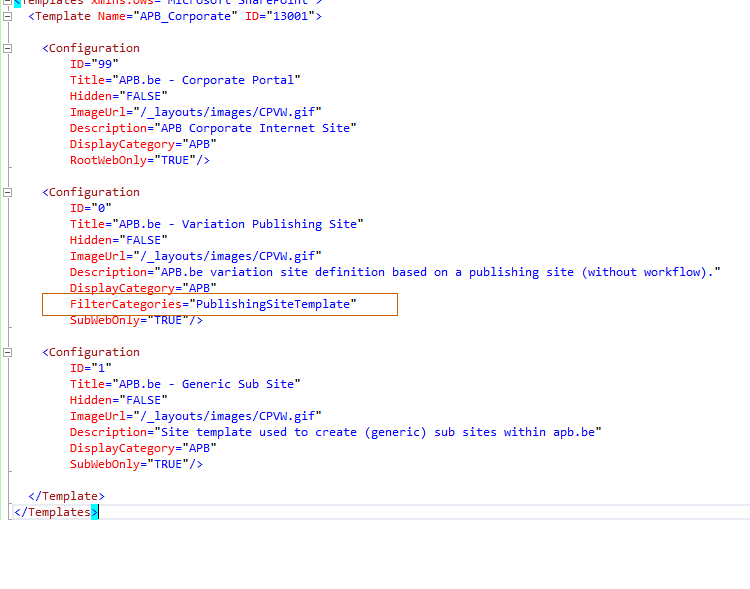 As in previous SharePoint versions, whenever you create your root variation label, you’ll need to specify the template associated with all the labels. Unfortunately the UI seems to only propose the Publishing Site (CMSPublishing#0) and the Publishing Site With Workflows (BlankInternet#2). While these two will fit most needs, I still find handy to have my own customized site definition, deriving from the OOTB ones that will only include the feature that I need and automatically do specific action upon provisioning. So how can you add your own site definition to the list like in the image above ?Time to do a little bit of reflection to see how this administration page is working and let’s call ILSpy to the rescue ! Knowing that, it’s only a matter of adding that property to your webtemp entry and voilà, it’s now usable (do an IISReset to ensure the choices, loaded from SharePoint internal cache, are reloaded). 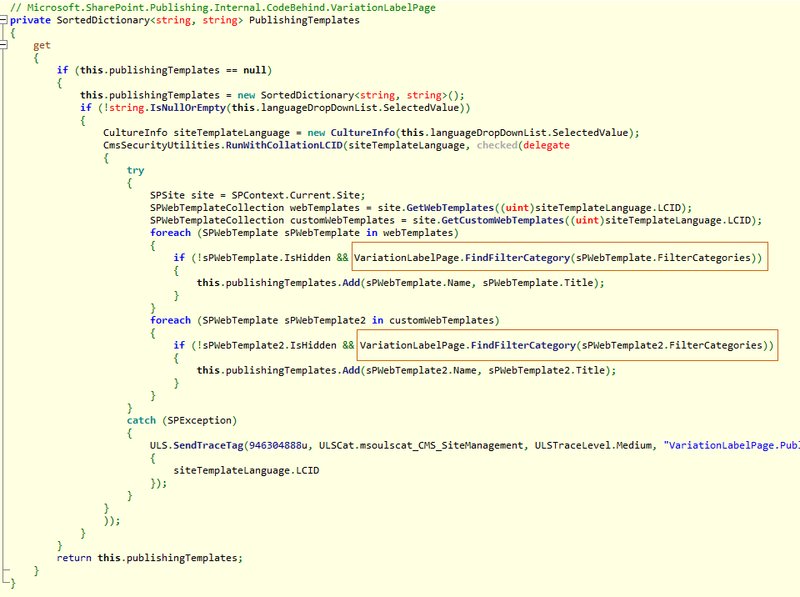 Previous postSharePoint Tip of the Day – Where is the Microsoft.SharePoint.IdentityModel.dll in #SP2013 ?